Customer Service Associate - Bilingual Benefit Counselor at Marsh & McLennan Companies, Inc.
We don’t believe in a one-size-fits-all solution, which is why your role as a Benefits Counselor is vital. You will be a valuable team member responsible for educating employees on available health and life benefits during their employer’s open enrollment season. Navigating through the selection of health and life benefits can be challenging for many employees; with your strong written and verbal skills, you can influence and guide people to the best solution for them and their families. 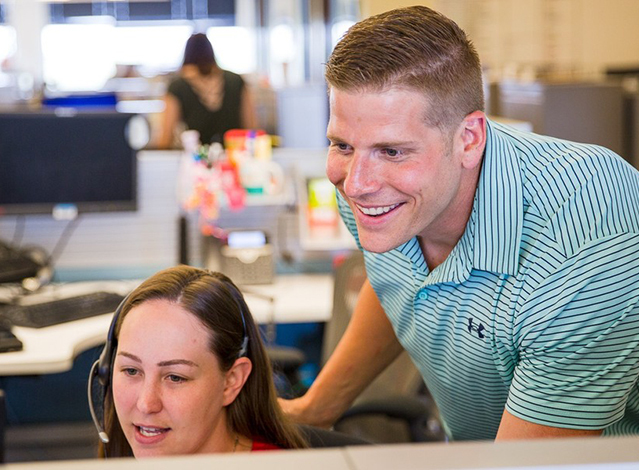 While working in a fast paced call center environment, you will receive all the training necessary to be successful in this role and will come to work each day knowing you can make a positive difference in people’s lives. What can you expect when you join Mercer as a Benefit Counselor? You will be part of a company committed to enhancing the health, wealth, and careers of the clients we serve and their employees — and will work for a company equally invested in the development of our own people. You can rest assured a high value is placed on diversity and we work to foster understanding, inclusion, and innovation in the workplace. As a core component of our workplace culture, we are fully committed to volunteering and caring for our communities. You will be doing meaningful, challenging work, and can look forward to a career with many opportunities to learn, grow, and advance. You will receive a competitive salary and comprehensive benefits starting on day one, such as: health and welfare, tuition assistance, 401K, employee assistance program, domestic partnership benefits, and more! One+ years of proven customer service or sales experience. Minimum 6 months experience using Microsoft Office and experience navigating multiple systems without assistance. Carrying a license in Health and Life is mandatory for this role. If you are not licensed in Health and Life, Mercer will offer training to obtain a license. If you’re looking for a career with purpose, join the Mercer team. Bilingual Benefit Counselor classes start in July 8th and August 5th. Our call center hours of operations are 8 am - 8 pm EST. Varied shifts are available within these standard operating hours. At Mercer, we make a difference in the lives of more than 110 million people every day by advancing their health, wealth, and careers of their most vital asset — their people. We’re in the business of creating more secure and rewarding futures for our clients and their employees, whether we’re designing affordable health plans, assuring income for retirement or aligning workers with workforce needs. Our passion is making a difference in people’s lives. For us, it’s not just a business, it’s a mission. Our more than 22,000 employees work every day to enable people around the globe to live, work, and retire well. At Mercer, We say we Make Tomorrow, Today. For more information about our company, please visit us at: www.mmc.com. We embrace a culture that celebrates and promotes the many backgrounds, heritages and perspectives of our colleagues and clients. For more information, please visit www.mmc.com/diversity. Marsh & McLennan Companies and its Affiliates are EOE Minority/Female/Disability/Vet/ Sexual Orientation/Gender Identity employers. Check out our Urbandale, IA office!